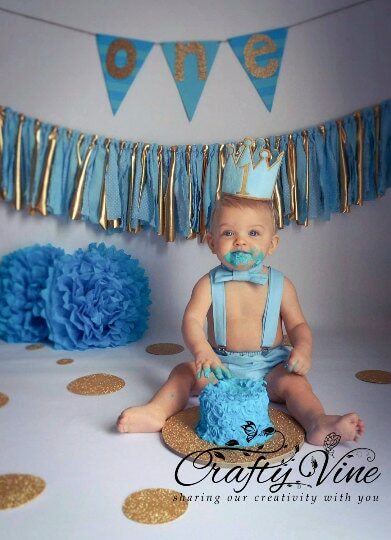 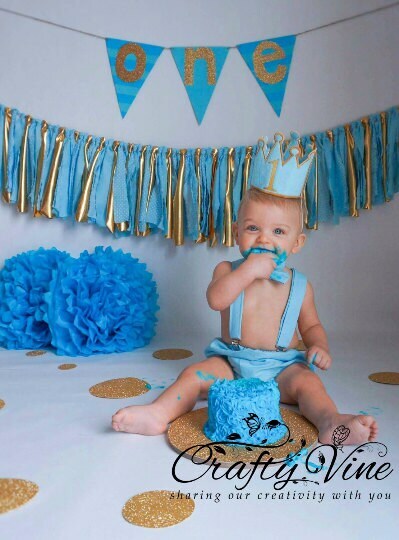 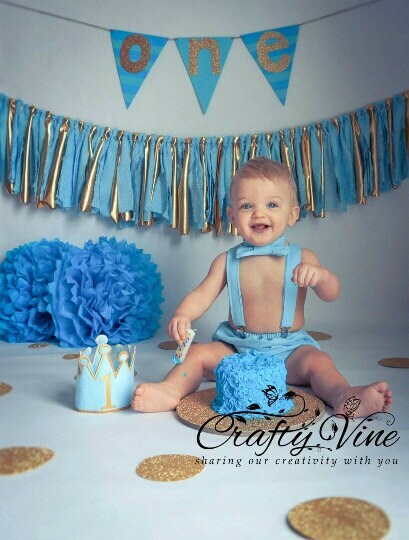 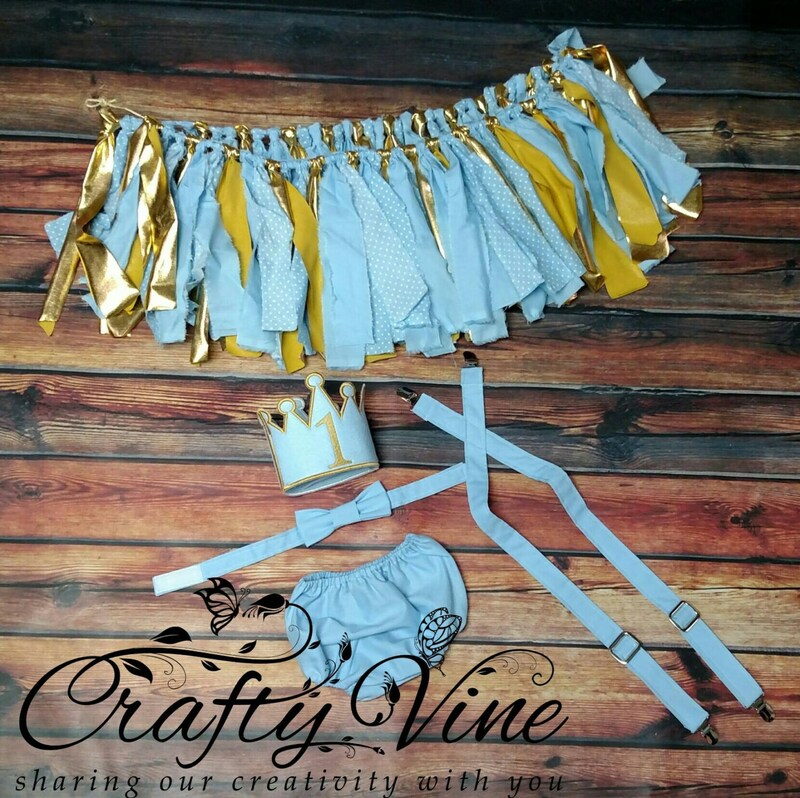 Your birthday Prince will look adorable in this light blue and gold cake smash set with matching rag tie banner! 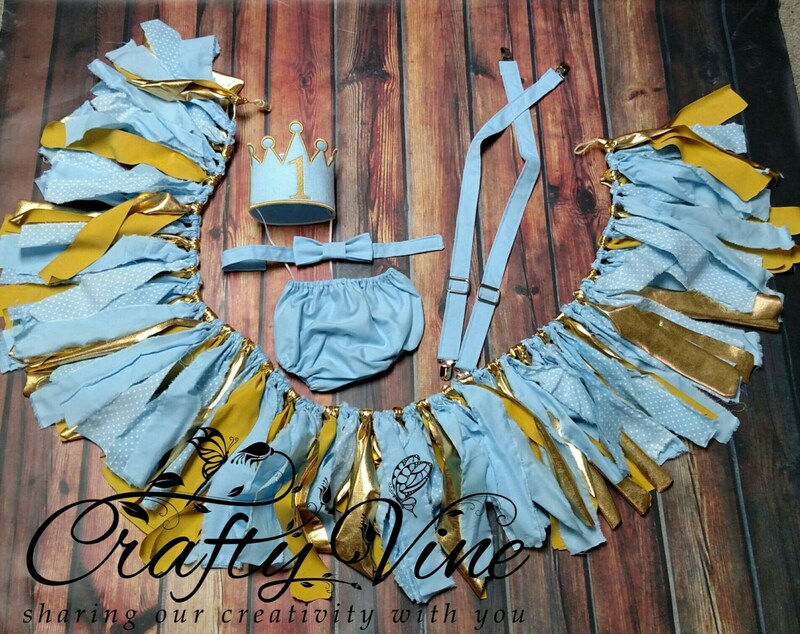 This set includes diaper cover, bow tie, crown, adjustable suspenders, and matching 4' rag tie banner. 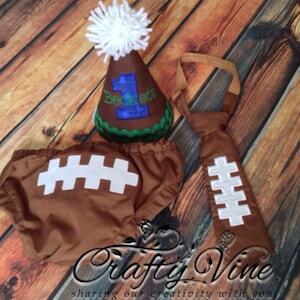 Please note the fabric in the banner may vary slightly due to product availability. 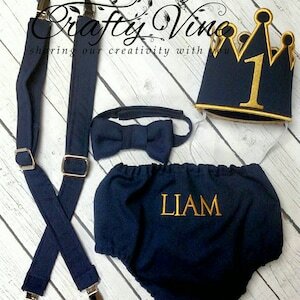 We also love custom orders! 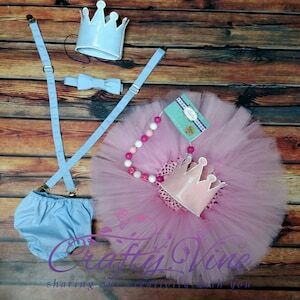 Contact us to order you custom outfit.